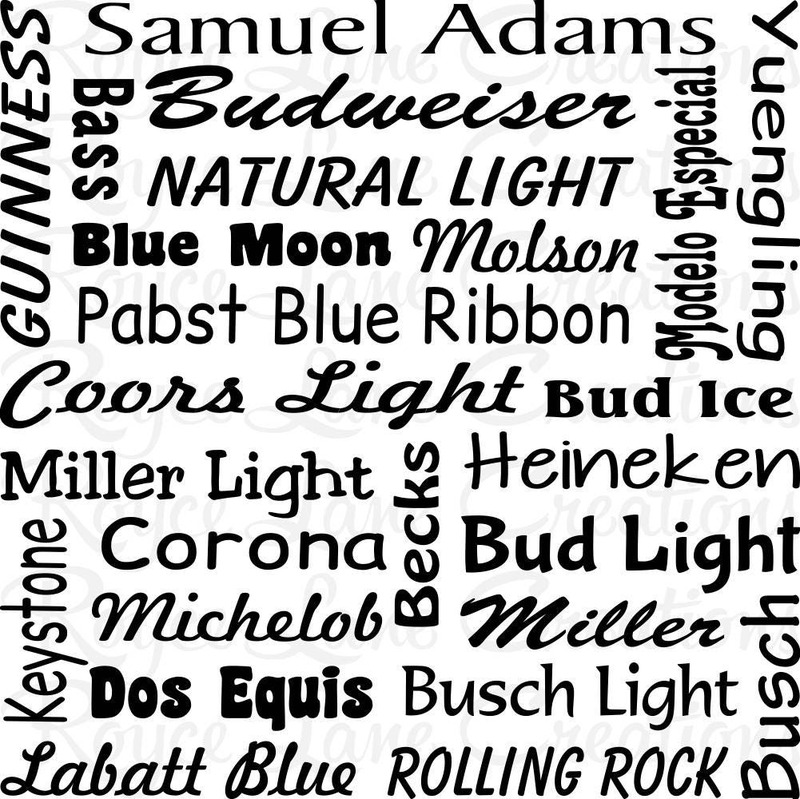 Beer Names Bar Wall Decal. 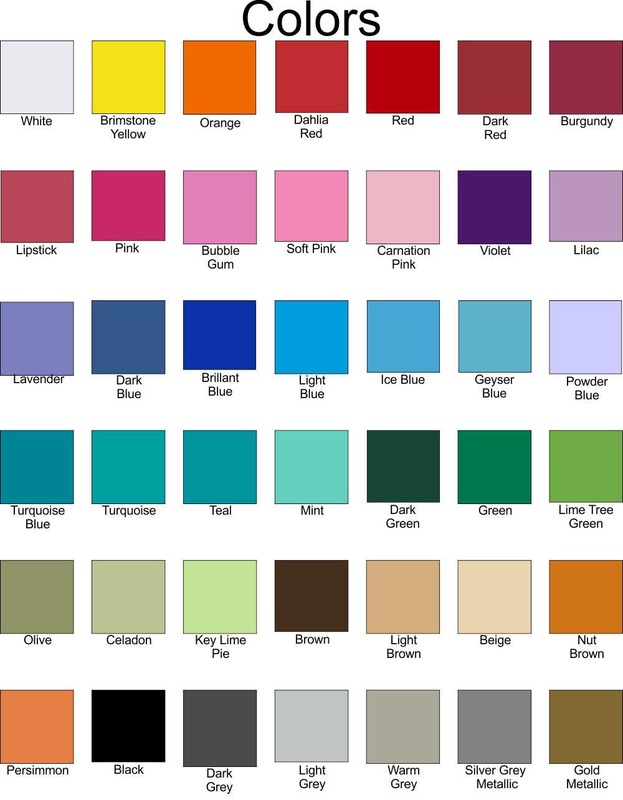 The decal can be made in any of our colors shown in the 3rd photo. We make other bar decals. 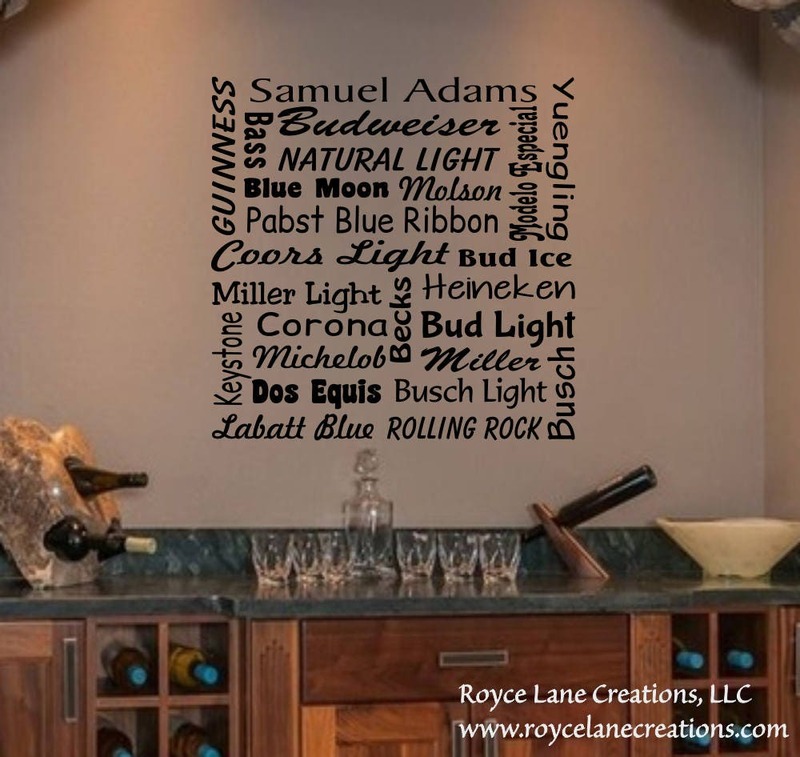 You can find them in our Kitchen decal section. Went on easily with instructions enclosed. Looks great.